The Keep Alive® (KA) devices are used to supply power to decoders during times of power interruption due to dirty track or problematic track work. The KA3 will power an HO-Scale locomotive with headlights on for approximately 6 to 20 seconds (depending on the locomotive and the effciency of the motor). 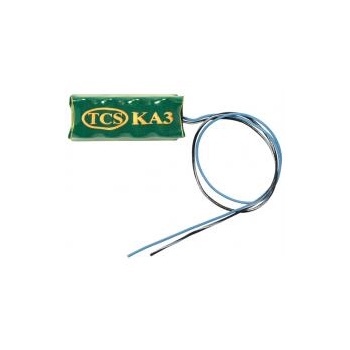 This KA3 will work with Keep Alive® ready decoders and most non-TCS decoders. TCS decoders manufactured after February 2012 are Keep Alive® ready.